It ain't no lie: Ariana Grande truly blessed us last night. 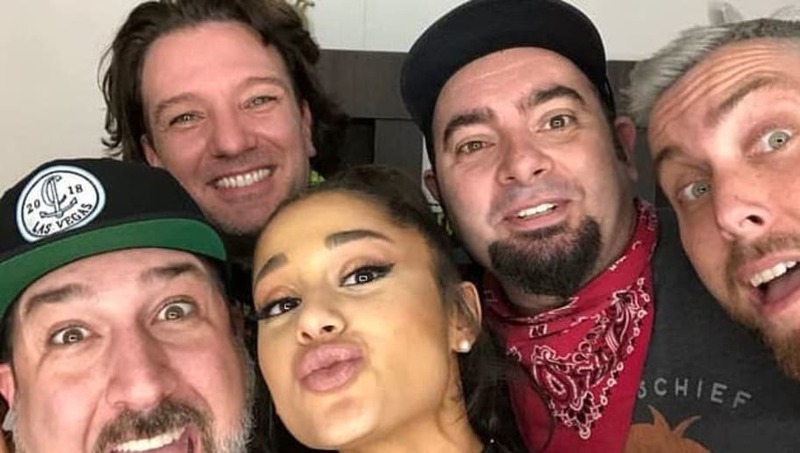 For her highly-anticipated performance at Coachella Weekend 1, the 25-year-old pop star brought to the stage a few incredible acts, but the one that truly made the night was *NSYNC. After a few teases on social media, Ari really delivered and brought the best boy band of the late 90s/early 2000s out to perform. They also performed *NSYNC's hit "Tearin' Up My Heart." Besides the fan-favorite boy band, Ariana brought out the likes of Nicki Minaj and Diddy to much excitement from both the audience and people watching at home. According to PEOPLE, the singer opened up her set with "God is a Woman," leading into "Bad Idea." She closed out with "No Tears Left to Cry," and came out for an encore with "Thank U, Next." We're incredibly proud of Ari for this huge accomplishment, and can't wait to see her do it all again next weekend!